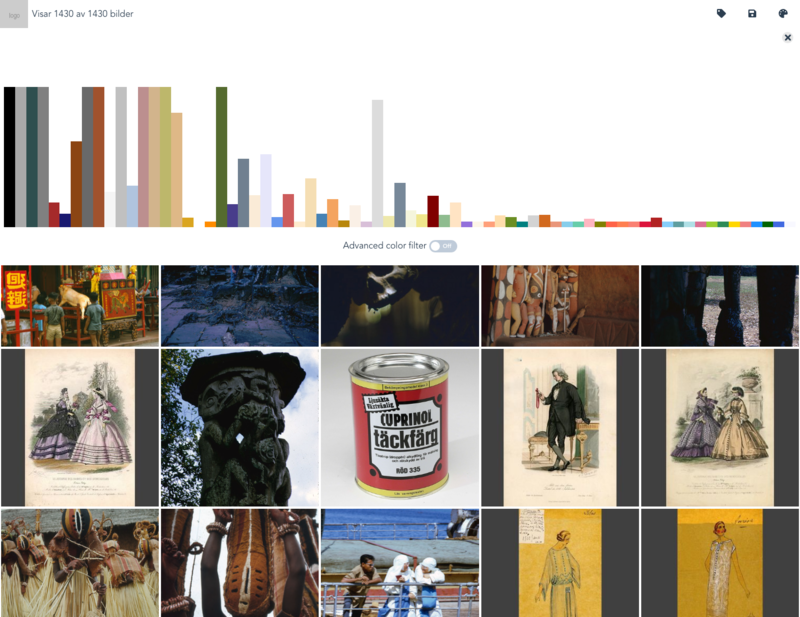 While working on an evaluation of Generous Interfaces in the GLAM sector at the Swedish National Heritage Board we extracted colors in images to make them searchable by their palettes. For usability reasons we wanted to limit the extracted colors to a comprehensible palette. Colorsnap is a Python package for snapping/rounding colors to other colors/palettes. Although I could find plenty of resources and examples on how to do this, I could not find a accessible package. Let’s take the hex color #0000ba and round it to its nearest color available as a named color in the CSS 3 specification. It’s available over at PyPI and Github.